We often hear people say they don’t eat bread because they are trying to be healthy, lose weight or avoid gluten, or they find it hard to digest. 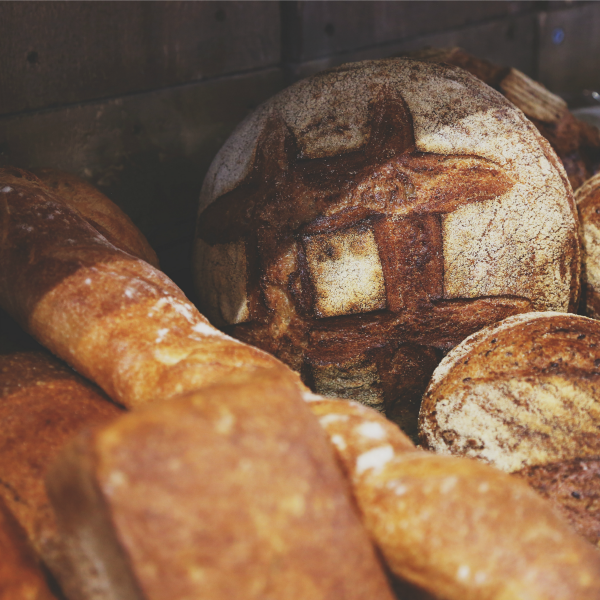 Vicky Harford believes slow bread is the answer – properly fermented bread that takes days to make and is easier for our stomachs to digest. 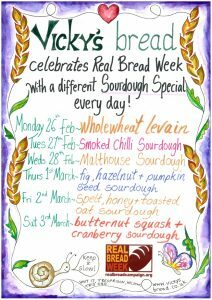 And it’s why she is passionate about the real bread she makes at Vicky’s Bread in Helston, Cornwall. To celebrate Real Bread Week this week her offering includes some novel sourdough loaves such as Fig, Hazelnut and Pumpkin Seed; Spelt, Honey and Toasted Oat and Butternut Squash and Cranberry. The bakery has trebled in size in just 2-3 years and now employs around 20 people and delivers across Devon and Cornwall. Vicky and partner Hairy have given up three other businesses (the village shop, pub and a holiday cottage business) to concentrate on the bakery and build on its success. Try it for yourselves and let us know what you think – we have bread deliveries Monday-Saturday in all our shops.